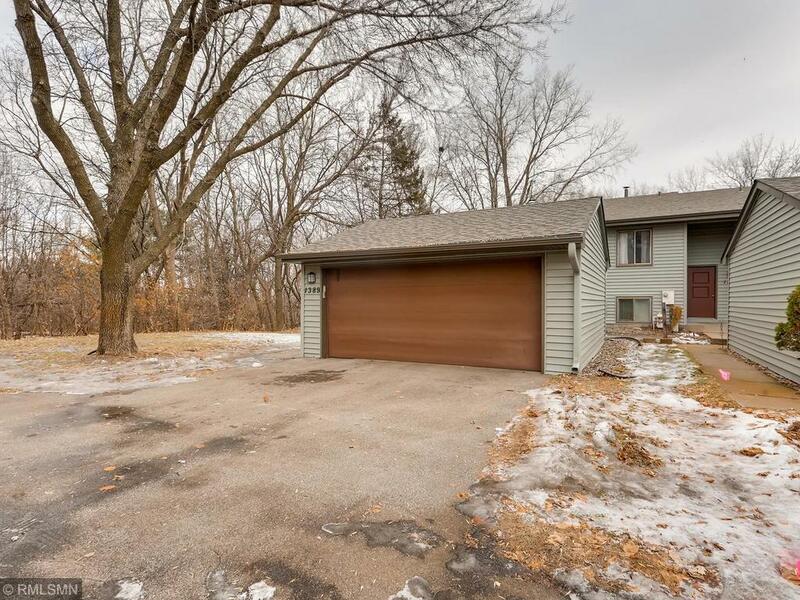 Welcome home to this warm and well done home surrounded by woods conveniently located in Arden Hills. This end unit boasts a large eat in kitchen with vaulted ceilings and lots of windows. Enjoy the fireplace in the lower level family room when its cold and the large deck and patio when the weather is war. New roof in 2017 and siding in 2018. Don't miss your chance to put your finishing touch on this large end unit. Directions - From Hamline Avenue turn West onto Arden View Drive. Head North onto Arden View Drive for about half a mile, turn North into driveway from 1389 Arden View Drive.